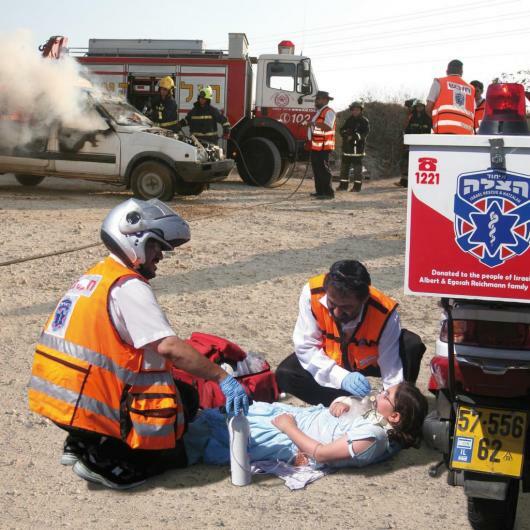 Join us in raising funds and awareness for United Hatzalah of Israel. We are doing this In Memory Of Ken Canter . 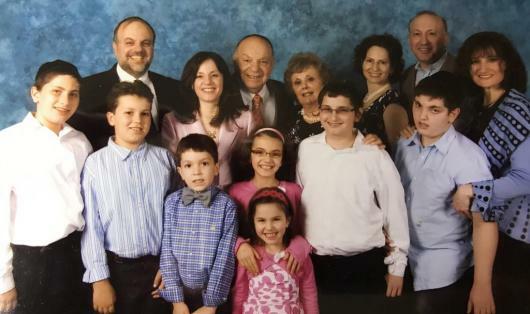 Maurice Kenneth Canter (Moshe Kuppel ben Yehoshua), passed away 3 Tammuz (6/26/17). We will be dedicating a United Hatzalah ambucycle in our father's memory. Our father lived a remarkable life, being an incredible father, grandfather, husband, US army veteran and mason. Having an ambucycle saving lives in Israel in his memory means the world to us. Any amount that you give will help bring us closer to our goal. May your father's neshama have an alyiah. Ken was a truly wonderful man who is incredibly missed. We are sure that he is entertaining everyone in heaven with his trivia and repertoire of jokes. This is a fitting tribute for a sincere man who valued his family, friends and life. Thank you for including us in this beautiful opportunity for such an incredible cause. With best wishes for all nechama in the new year. Proud to honor the memory of Ken Canter and to donate to this very worthy cause. Baruch dayan ha'emet. We are so sorry for your loss. Ken, your good nature and practical wisdom is missed by all. You were a role model to many and left a beautiful legacy. Yi'hi zichro baruch. Wishing you strength today and always--365 days a year. In memory of Kenny-- A family man who loved life and respected all. In memory of Ken-- an incredibly special person who deeply enriched our lives. We miss him very much. Miriam J. A beautiful and meaningful dedication in the merit of a kind, wonderful and inspiring person. May his memory be a for a blessing. Tizku limitzvot! To honor a fine gentleman. A very beautiful idea, which will continue to be a great z'chut for your father for many years to come, and help countless people. Yehi zichro baruch. May the Neshama have an Aliya. Wonderful Mitzvah that keeps on giving. Hi Susan. Continued success in your fund raising for such an important community resource. My condolences to you. This is a very fitting tribute to your father. Dear Susan, In memory of your father & for the great work UH performs throughout Israel. -Rich, Barbara & Dave Gitlin. Dear Susan & Canter family, It sounds like your father was a very special person. What a wonderful way to honor his memory. Thinking of you and wishing you peace and strength. Beth A.
Lilui Nishmat, Moshe Kuppel ben Yehoshua Who built such a beautiful family. May you all continue to give him much Nachas and such beautiful Zechusim. Gila & Yoni P.S. Go Susan !! With loving support in memory of your father z"l.
Ken was a wonderful man and will be dearly missed. I wish you health and happiness in the new year. Susan, congratulations on your wonderful work! May the neshama of your father, Moshe Kuppel ben Yehoshua, be elevated by the very impactful gift of the ambucycle. May this year be one of many blessings and much happiness for you and your family. I am sorry for your loss. Thank you for giving me this opportunity to do this Mitzvah! Thanks for giving me the opportunity to do this. May your father's neshama have an aliyah and your family blessed with Simchas!!!! So sorry for your loss. What a beautiful way to honor your father's memory. May many people in need benefit from your incredible mission in honor of your Father's memory. What a beautiful dedication to your father's memory. Sorry for your loss. The world needs more real-life heroes like your dad. Wishing you blessings in honor of the memory of your father, Susan. What a special way to honor your father ! May his neshama have an aliya and may you be comforted among the mourners of Tziyon and Yerushalayim. What a beautiful way to honor your father's memory. Blessings. Sorry for your loss - may your Dad's memory continue to be a blessing. Naftali, Zoya, Avi & Samuel. Best of luck with the campaign for an amazing organization. So sorry for your loss and thank you for making a difference in someone's life. May the neshama have an Aliya and may be the family be comforted. May their fathers neshama have many aliyot in shamayim!! With all of my thoughts and prayers. What a lovely idea and great cause to bring honor to your father's memory. May this campaign continue to be successful so that many others can be assisted by Hatzalah's service. I'm loving memory to your dearly departed. I applaud your efforts in their name. Susan, may your father's memory and midot always live strong and be reflected in you. Very nice way to honor your father. May his neshama get an aliah. Baruch dayan haemet. May Your Memories of Your Dad - Serve as A Comfort. Tezku L'mitzvot. May your beloved husband, father's, grandfather's , memory be for a blessing. 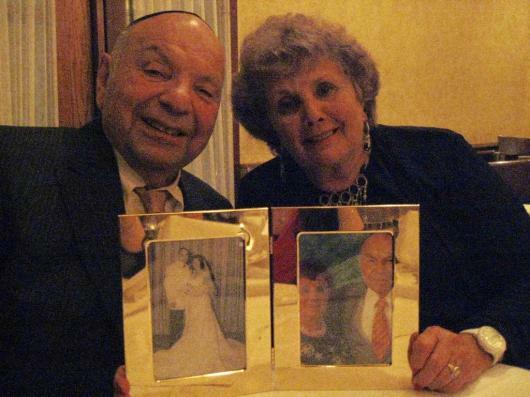 Susan, what a wonderful way to remember and honor Moshe Kuppel benYehoshua. May this beautiful tribute to your father allow his good deeds to continue to impact others. Susan, I missed your Shiva, my apologies. May your father's memory always be a source of comfort. Susan and Family - I'm so sorry for your loss. May the coming days weeks months and years we filled with accounting wonderful memories of your father. Love and comfort to all! May your Dad's neshama have a tremendous aliya! And may Hashem send your dear family chizuk! Deepest condolences on your loss. So sorry for your loss. Thank you for giving us this opportunity for tzedakah. We are very sorry for your loss. It is beautiful that you are doing this in your father's memory. He must have been very proud of all of you and may his memory live on through you and this wonderful mitzvah. B"H Dear Susan & Johnathan, Your father's kindness and generous spirit lives on through yours. May he affect much blessing from on High for you and your families. I remember your dad fondly and have only the best memories of your entire family. I wish his neshama an aliya. Yasher koach, what a beautiful thing to do. May your father's neshama have an aliya Susan. May this come to fruition quickly, and may it bring nechama to your entire family. We are so sorry for your loss and are sending our deepest sympathies to your family during this time of mourning. What a wonderful way to honor your father's memory. Kol HaKavod! We are so sorry for your loss. May G-d comfort you among the mourners of Zion and Yerushalayim. May your father's memory be a blessing and his neshama have an aliyah. Susan, thank-you for opening this opportunity to us. What a beautiful way of honoring your father! May Hashem comfort you and your entire family, and may you know of only good tidings and smachot. Kenny was always very charitable. His loss will be felt for a long time. The years seem to have past so fast but times were good and happy. He will be in my heart for a long time and deeply missed. Rosemary W.
Dear Susan - My deep and heartfelt condolences to you and your family. 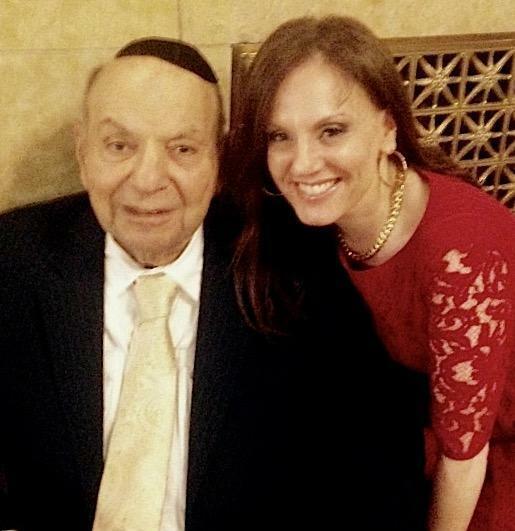 Baruch Dayan Emet, I want to wish my condolences to the whole Canter family. May Maurice's memory live on forever through the great actions that his family has taken. Dear Canter Family: This is such a beautiful way to honor your father's memory. May your father's neshama have an aliyah and may his memory be for a blessing. I am so sorry for your loss. . . may you be comforted in the healing hatzalah will be providing in his name. . .
My heartfelt condolences to the whole family on your loss. May his memory be for a blessing. May your father's memory be a blessing for you. May the goodness of your father live on through the kindness of the donation you are making to help our people. From The Gormans and Prochniaks. My heartfelt condolences on the passing of Maurice Canter. My sincere condolences for your loss. May his memory be a blessing.